Are you a would-be buyer who doesn’t think you can afford to purchase where you rent? Well, things could get more affordable and less restrictive in the District with recent reforms to the DC Zoning Code. 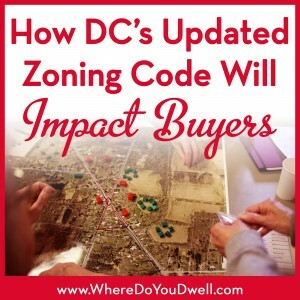 After nearly 8 years of review, the Zoning Code was updated earlier this year by the DC Zoning Commission. The overhaul of the code – long considered a mishmash of amendments to the 1958 original code – has been simplified and modernized to better reflect today’s residents. Most significantly, the new code has minimized regulations that have impeded the “urbanization” of the city. The reforms now make it possible for DC to move forward with what some have described as “smart growth” development consisting of more density, mixed-use, and pedestrian infrastructure in certain parts of the city. Keep in mind, office and residential buildings will still have to meet current height restrictions since it is covered by a federal regulation not DC’s! These new changes will influence the District’s development in the coming years and can have a positive impact for those buyers who want more urban conveniences and affordable housing opportunities. Increased opportunity for rental income. It will be easier to rent out a home’s basement, garage or cottages in a yard. That means certain homes for sale may be more affordable to you and other buyers when you take into consideration rental income to offset mortgage costs. Buying a gallon of milk will be easier. Corner stores can now open in residential areas defined by rowhomes. That means you won’t have to travel as far to get certain groceries. This will make city living even better and more convenient for many families. More opportunities to live, work, and shop. “Downtown” zoning boundaries can be expanded into adjacent neighborhoods (such as NoMa, Capitol Riverfront) allowing for more density and mixed-use development with housing, office space, and retail stores. This also means additional housing inventory for buyers, which can help keep prices reasonable and affordable. Say good-bye to parking and hello to lower construction (housing) costs. Parking space requirements for developers will be lowered in many parts of the city, helping to reduce the cost of construction. This could translate to less expensive housing opportunities for you and other buyers. This particular change in the zoning code reflects the current habits of many DC residents who prefer to walk, bike, take mass transit, Uber, or rent a Zipcar rather than own a car. As you can see the updated DC Zoning Code can influence how developers and the city will transform now and in the near future. Let us know if you have any questions. 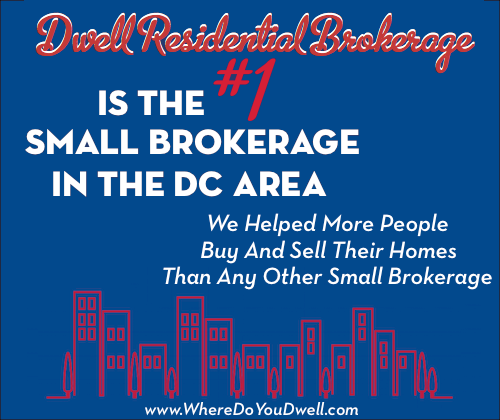 As a real estate agent helping my husband and me buy a home in Capitol Hill, Colleen could not have provided better service to us. She was patient, insightful, available, well connected, helpful, not-at-all pushy, generous with her time and she communicated with us just the right amount. We can’t recommend her highly enough!